Have you ever wondered why your mom always told you to stop slouching when you were younger? Aside from the fact that it makes you look much shorter than you already are and makes you look like you don’t have confidence in yourself, it also destroys your back. In the long run, you’ll feel a lot of pain in your back area if you don’t fix bad posture when you’re younger. So how do you improve posture anyway? Do you just stand up straight and let your back magically fix itself? Well, your back won’t be able to do that if your body is used to a crunching position. That’s why you have to fix posture so that your body will get used to a position that’s good for it. 1 How to Improve Posture? Here are 10 easy and practical tips that can help you fix your posture. What’s the first step in learning how to fix bad posture? The answer is to simply be aware that you have bad posture. No, being aware won’t miraculously heal your back or help you have good posture. However, it is the first step in improving yourself. By being aware, you will be more conscious about how you position your back. Once you’re more conscious about your back, you’ll automatically want to do something about it. In order to do this, you just have to simply remind yourself from time to time to check if your back is straight or not. Make it a habit to do this a few times a day. If you keep on doing this, you’ll always be aware of your back by nature. At first, you might forget to remind yourself about this so it’ll really help if you keep a reminder on your phone. You can also write down your reminder on your notebook so that you’ll see it every time you go to work or school. Now that you’re more aware of your back, what’s next? Well, you now have to straighten your back by not slouching. So how to stop slouching in the first place? The simplest answer to that would be to pull back your shoulders. That’s it? Pull back your shoulders and you’ll not slouch? Yes, it’s actually that simple! You see, the shoulders are what controls your posture. If your shoulders are always forward, then you will automatically slouch. That’s why most people who sit on the computer all day slouch. It’s because their shoulders are arched forward so that they can type. So the first thing that you should do is pull them back. Once you pull your shoulders back, then your body will involuntarily get a good posture. 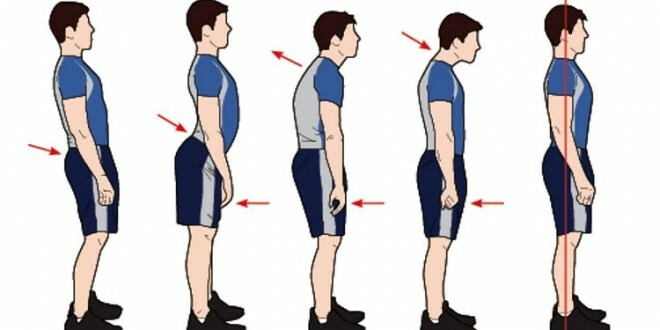 Now you can do this everytime you notice that your back is starting to arch and slouch. As mentioned earlier, the shoulders control the posture. 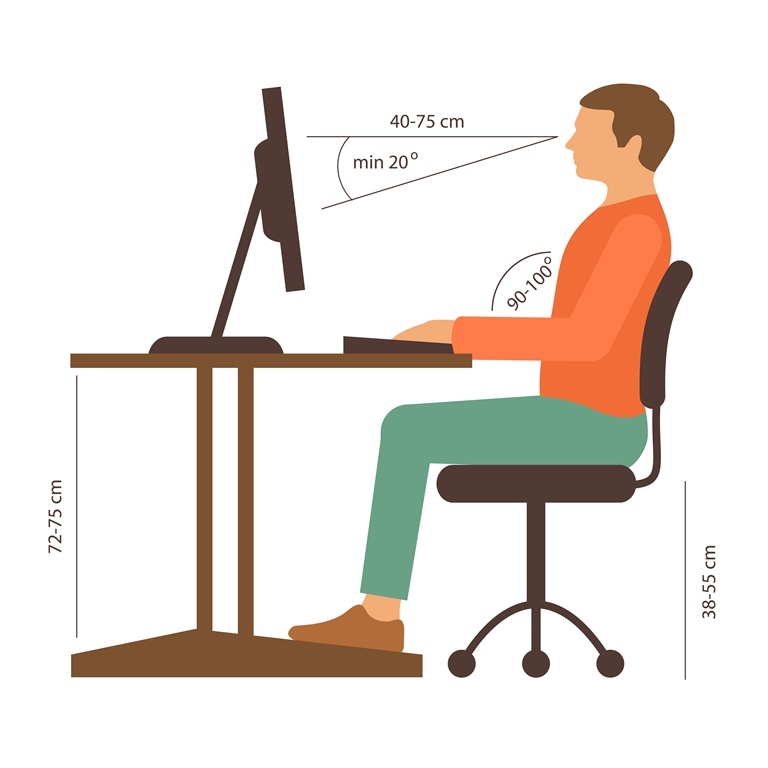 So if your chest and shoulders are compressed because you’re sitting down too long or slouching too much, then your position might be stuck for a while. That said, you have to constantly loosen up your shoulders and chest so that your spine will be pushed back. It is recommended that you try doing yoga as it contains a plethora of exercises that help loosen up the shoulders and straighten the back. In fact, yoga forces you to hold poses that are very helpful for your back. So if you do even the basic yoga shoulder and chest exercises every day (you’ll take around just 15 minutes to do them), you’ll notice a huge difference. So a quick answer to how to fix posture? Take up a basic yoga session or search for some yoga poses that are good for the back on the internet. You’ll find a lot of them. Movies may tell you that sitting with your legs crossed is a sign of power, authority, confidence, or something like that. However, it’s really bad for your back. This is because sitting cross-legged won’t allow your feet to have support from the ground which is needed so that your back can maintain a good position. So yes, keeping your feet on the floor is always the best thing to do. Later on, we’ll discuss how to sit properly step by step. For now, just forget about crossing legs when you sit down. Just keep your feet firmly planted on the ground. There’s a reason why your mom will always tell you not to carry too much stuff in your backpack. 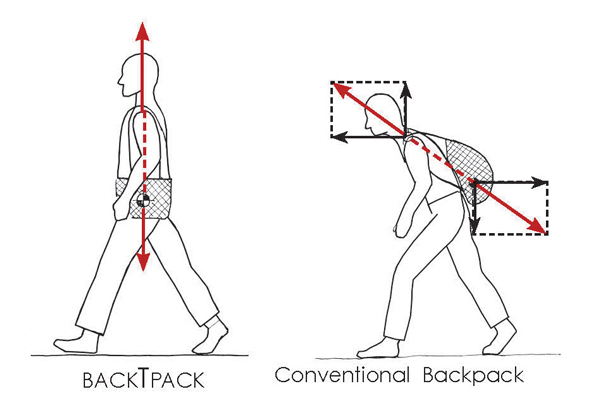 The extra weight on your backpack will actually force your back to slouch. Notice that whenever you carry a heavy backpack, your back will involuntarily move forward. That’s because it’s trying to support the weight by adding extra strain so that your back will be more comfortable. In the long run, this is extremely bad for the back and may force some serious problems on it. What others do is that they carry their backpack at the front. So instead of the bag facing the back, it’s going to face the front instead. This is so much better because it can force your back to move the other way since the weight is in the opposite direction. This position is the back’s natural position. Of course, don’t carry it too long because straining it in that position too long with weight is also not good. Notice that most people who lift up stuff by bending forward and picking them up usually have a hard time. This is because they’re putting some extra strain on their backs– strain that’s bad for the back. You see, you won’t be giving your back any support if you do that since your back isn’t in a comfortable position while you’re trying to lift something heavy. An alternative to do that is to squat, pick up whatever you’re trying to lift, then stand up. Sure, this may take a little longer than just picking it up by bending over (it is two moves after all), but it’s so much better for your back. By doing this, the strain won’t be on your back but on your legs. And your leg muscles are much stronger than your back muscles so it’s fine if you strain them a bit. That’s actually why weightlifters squat down before they lift up their barbells. 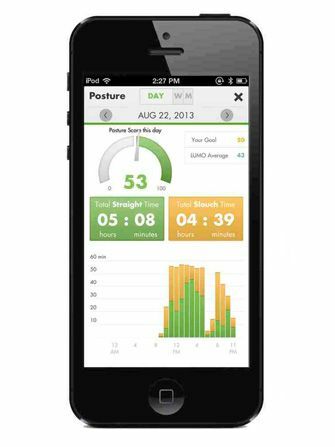 Yes, there are actually apps that can help you improve posture. Can these apps teach you how to improve posture? 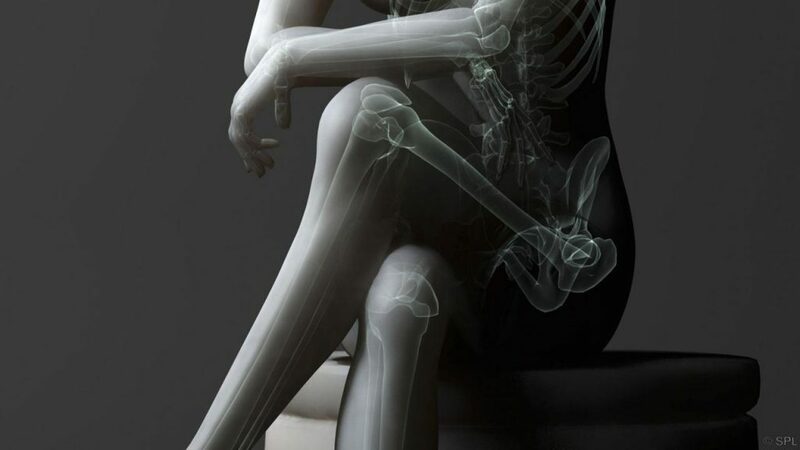 Not exactly, but it does tell you if ever you have poor posture. Basically, it makes use of this camera that can detect if your body is in the right posture or not. So all you have to do is point the camera at you (you should be at side view for best results), and it’ll warn you when you’re starting to slouch or leaning too far back. It’ll issue some kind of warning sound that’ll force you to fix your posture. It’ll only stop once you fix your back. Some cool apps for this purpose are Nekoze, Lumo Back, and Posture Man Pat. You can find these apps on your phone’s respective App Stores. Have you felt that your monitor is too low that you have to lower your head so that you can see the whole screen properly? We’ve most likely all felt that– especially the taller people. 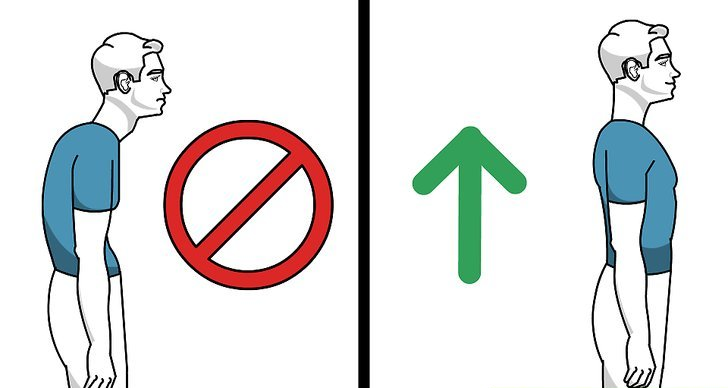 Because of this, you’ll sometimes be forced to bring your head down so that your eyes can align with the screen. Doing this forces you to slouch, which is bad for your back. Why, you adjust the height of your monitor. There are some monitors that allow you to adjust its angle. If you point it upward, you can align it the way you want so you can see the screen properly. If your monitor can’t be adjusted, then you can prop something on it such as thick and big books. If you sit down too long, then chances are your muscles will get stuck in place and get stagnant. This isn’t good for your back because stiff muscles will result in backaches and such. So the ideal thing to do is to take short breaks from your computer and walk around from time to time. Of course, there are times when you’re extremely busy because you’re trying to catch a deadline or something that you’ll forget to take your regular break. On these situations, you can set an alarm so that you’ll know it’s time for your break. Don’t let your deadline stop you from fixing your health! Your back’s longevity is more important than any work you have because you won’t be able to work if your back gives way anyway. The last tip to keep your back is to simply relax and don’t get stressed too much. Did you know that stress is one of the factors of poor posture? Whenever you get stressed, the stress hormone cortisol is spread all over your body. 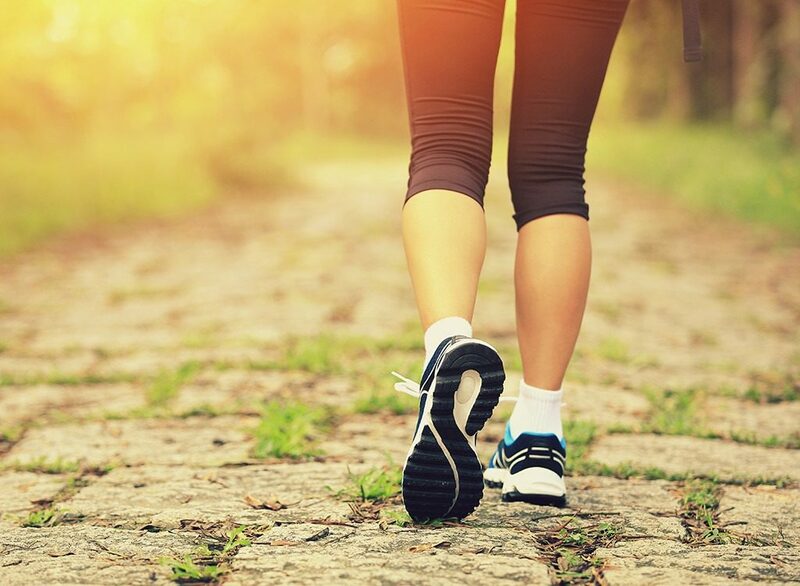 Cortisol decreases the strength of both your bones and muscles when too much is released. When this happens, you’ll have a really hard time maintaining a good posture. 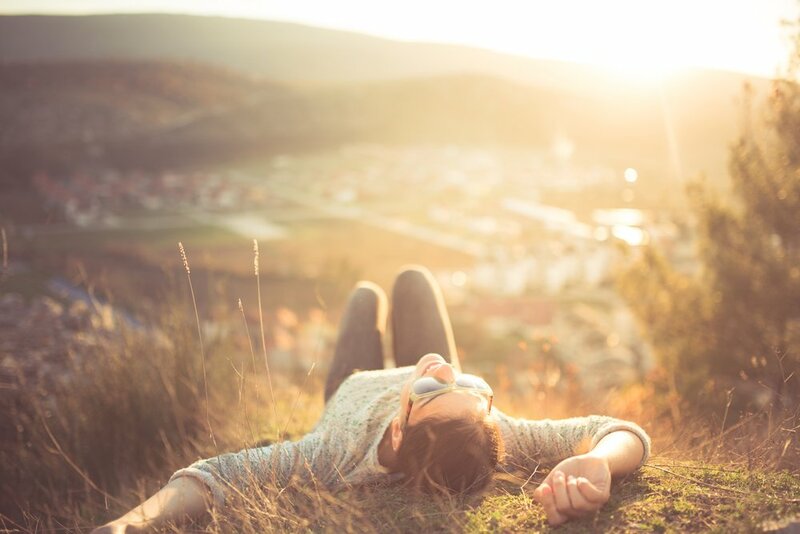 So the tip here is to simply find time to relax so that you can lessen the stress in your daily life. You can try meditating or taking a nap. Those are 10 tips that can help you fix your posture and prevent you from slouching. 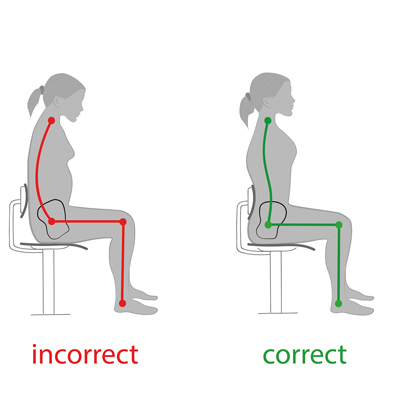 Now, the next sections will deal with how to keep your posture even while you’re sitting down or while you’re sitting. Put your body weight on both hips equally. Press both feet on the ground. If you do this, you’ll notice that your back won’t hurt as much as when you slouch or when you lean back too far. This is the proper sitting posture that’ll help you maintain a healthy back in the long term. While sleeping, you’ll have to make a few adjustments to your sleeping position so that you won’t compromise your posture. If you tend to sleep more on your side, then it’s recommended that you use one of those full body pillows that can help straighten your spine. Also, put a pillow between your legs while you slightly lift your knees up. If you’re a back sleeper, then it’s recommended that you put a pillow behind your knees so that your body gets full support to maintain your posture. 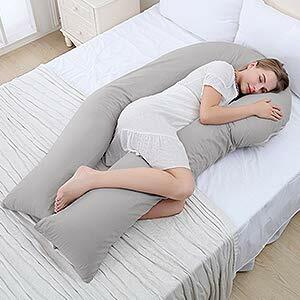 Also, make sure you get full body pillows that aren’t too soft that your head will sink in it. While it is not encouraged that you sleep on your stomach because it’s not that good for your back, there are some people who can only sleep in this position. If you’re one of these people, then you’ll need to put a pillow on your stomach. This allows your back to maintain its good posture even if you’re lying on your stomach. Now, if you turn a lot, then you have to at least learn the right way to turn. Most people twist their waist first then twist their whole body after. This is bad for the back because the twist gives it an extra strain. Instead, just keep your back straight and make one whole movement when you turn. That way, your back doesn’t need to have the extra twisting movement.